Earlier I had discussed on monetizing a blog without spending any money. If you haven’t read that post then I suggest you read it now by clicking here. In that post, I had mentioned about Google Adsense as one of the way to make money from a blog. But one of my reader who had recently started a blog got rejected by Adsense twice. After applying third time, he did get accepted but just after few days, he got his Google Adsense account banned due to violating one the many strict Adsense policies. Since most new blogs don’t receive banner advertising, sponsored reviews and have less knowledge about affiliate marketing or selling their own products, they fail to make any money from their blog. But Adsense is not the end to monetize a blog, there are different Google Adsense Alternatives, which can be used to monetize a blog. One advertising network that has been able to show its mettle over a short span of time is Infolinks. Blogs who may or may not use Google Adsense, use Infolinks as it’s the best Google Adsense Alternative and an easy way to make money from a blog. The best part is using Infolinks alongside Adsense does not violate its strict policies and can help you make extra income. For those who got rejected or banned from Adsense, Infolinks is must. To be honest, it’s the best alternative to Google Adsense and does not have strict policies like Google Adsense does. Compared to Adsense, it’s easier to get approved by Infolinks and always works on benefiting the publisher by bringing in new ideas and methods to increase publisher’s revenue. What is Infolinks? How is it the best Adsense Alternative? Unlike Google Adsense, Infolinks does not require any space on your blog to display advertisements. What Infolinks does is it converts some keywords from your articles into a link. When a visitor hovers over the link, an advertisement is displayed and you make money. Infolinks is a CPC and CPM based advertising network and offers in-text, in-frame, in-tag and in-fold ad types. Publishers have the full control on what types of ads can be displayed on the website. It provides you more power than Adsense itself. If you have many websites, you can monetize all of them with Infolinks once your one site gets approved. What you saw above was an example of in-text advertising. Listed below are the other types of ads from the stable of Infolinks. How to Integrate and Display Infolinks ads on your website? It’s easy to display Infolinks ads on your website. Visit infolinks.com and click on the ‘Get now‘ button, enter the details required and Infolinks will verify your site. You will receive an email from them within 72 hours about approval or rejection. Once approved, you can log into the thoughtful and beautifully designed Publisher dashboard. Next to Integrate, there’s a Customize tab through which you can explicitly customize the types of ads you want to display on your site. Awesome! What’s more to know about Infolinks? Unlike Google Adsense, Infolinks is hell bound on increasing the revenue of publishers by introducing a new way to make more money. On their blog they bring in new offers every now and then which help publishers like us make more money. This is the main reason why I believe it’s one of the best Google Adsense Alternatives for bloggers as Adsense only offers optimizing tricks to its Premium Publishers. Unlike other advertising networks, this directs us to place their integration code at the end of the website. Due to this, website content is loaded first and later advertisements. So it does not affect website loading speed as Infolinks ad elements are the last thing that get loaded on a webpage. Isn’t this awesome? Infolinks is great if you receive traffic from US, UK and Canada. For Asian traffic, you might not earn much but if your site gets huge traffic from US, UK and Canada and other European countries, you can expect a good income from it. Easier to Get Approved and Integration – Google Adsense takes up to 7 days to get approval/rejection status with complicated steps. For Infolinks you’ll be notified within 72 hours and once approved, configuring ads from its dashboard is fairly simple. It’s the best-designed dashboard I’ve seen from any advertising network. Doesn’t require Advertisement space – Since Infolinks is an in-text advertisement network, it does not require you to allot any real estate space on your website, thus giving content more precedence over ads. Doesn’t affect Website Speed – Infolinks code is placed at the bottom of your website, it does not affect loading speed at all. Infolinks ads are loaded after every element on a webpage gets loaded. Payment – Payment is done via Paypal, Payoneer and Wire after 45 days reaching Payment threshold of $50. Less Payment for Asian Traffic – There are many American publishers making over $1500/month by using very few ad units of Infolinks. For Asian traffic it’s not that best as it offers less CPM and CPC compared to American and European traffic. 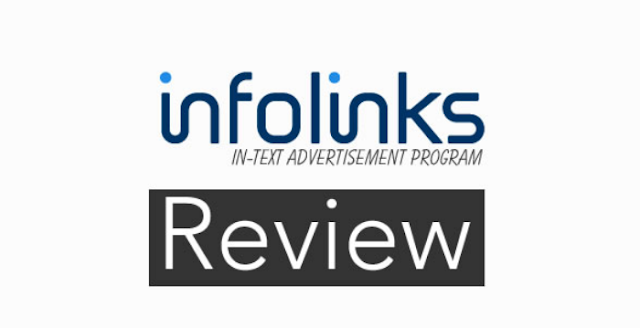 Number of Ads – Infolinks allows a max of 12 in-text ad links and other advertising types. According to my experience, using all these ad types can make your site look bad. I’d suggest using only 2-3 in-text links alongside in-tag and in-fold ads. If you compare the cons of Infolinks with Adsense, there are very few and can be easily worked upon. Infolinks has been working for many years and has built trust among different ad publishers. Yes! They do pay on time, which is 45 days after reaching payment threshold. Here is the payment proof of Infolinks. There are many other Google Adsense Alternatives but I believe Infolinks is the best. At last, I want to know your take on Infolinks, if you’re using it let me know your experience with them.